Rosanna is an Award-Winning Finalist of the 2010 International Book Awards, 2010 National Indie Excellence Awards, National Best Books 2009 Awards and the best-selling author of Awakening the Divine Soul - Finding Your Life Purpose. She is also a Certified Soul and Past Life coach. She is the Founder of Motivational Mentoring for the Soul® a mentoring program that helps others to find personal empowerment, discover their true passion, life purpose and move towards their misson with clarity so they may live a more fulfilling life. Having overcome her own personal traumas and obstacles on her own path, Rosanna believe's that we all have the power to change our lives for the better. No matter what the situation is, or where we come from, there is always an an opportunity for a fresh start, to heal, grow and blossom into the magnificant person that you truly are. For more than seventeen years Rosanna has been inspiring, motivating and assisting others on their journey. As a mother of three, she understands how very important it is to have an inner peace, balance and harmony in your life. As a student of spirituality and mysticism, Rosanna brings a balance of the spiritual and practical into her coaching and teaching, enabaling others to merge the two in perfect harmony. As a motivational mentor, inspirational speaker and teacher, Rosanna travels throughout the globe, teaching workshops and helping others to make their dreams come true. Rosanna lives on beautiful Vancouver Island with her husband and three children. 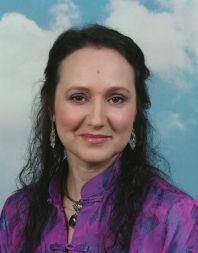 She has a healing practice where clients from all over the world are drawn to her many skills. Her intention is to continue to serve others in the best way she can, fulfilling her life's purpose. Rosanna is currently pursuing a Ph.D in Philosophy, specializing in Mystical Research.